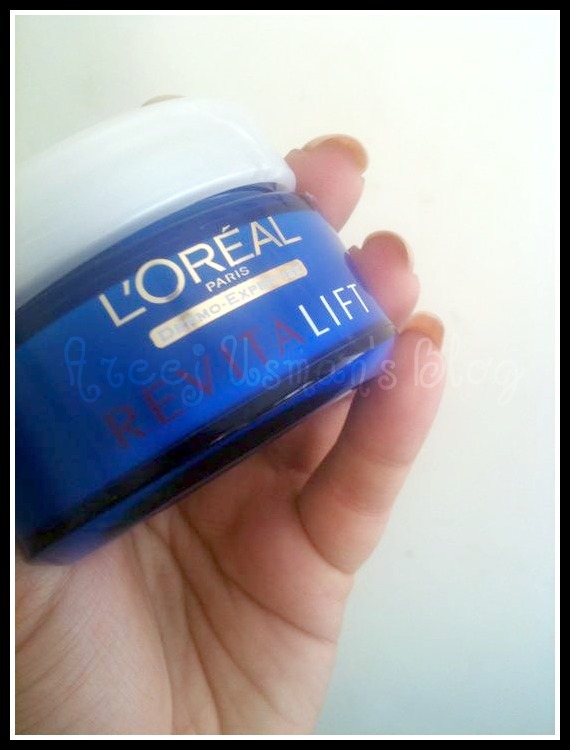 How is everything at your end?I am here to present a review from one of my favourite brands & that is L’OREAL! 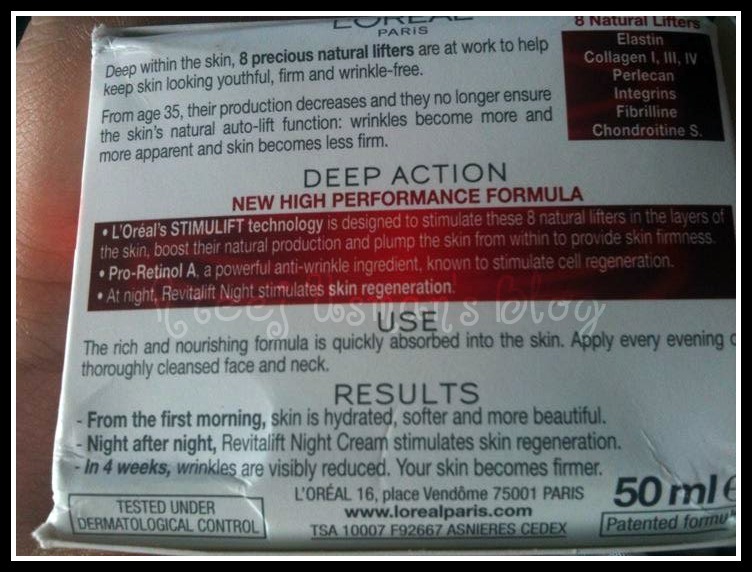 The product that I am reviewing today is the L’oreal Revitalift Night Cream. This unique night time moisturizer delivers anti-wrinkle and firming action while you sleep.Each morning,skin will appear refreshed,radiant,and younger looking. Experience advanced action against the signs of aging.Revitalift Night Cream(with fortified Pro-Retinol A,Pro-Lastyl and Criste Marine Extract)increases cell turnover,reduces wrinkles,firms skin,& provides 24 hour moisturization. 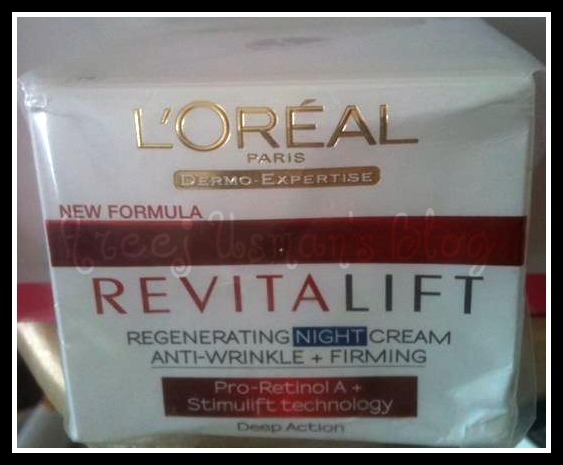 The good thing about the product I received is that it was the night version of the Revitalift.I usually opt for a night cream that does good to the skin so that when I sleep it can take care of my skin.Before I received this product I had previously been using the L’oreal White Perfect Soothing Night Cream.If you want to read my review on it click here.Here is what the product looks like on the shelf. It looks like any other square pack box that L’oreal usually prefers with its creams.There is also a leaflet with information about the product in 7-8 different languages.I really like the packaging of the product.Its an expensive looking blue jar with a lid on top so one can always cover it up after use. 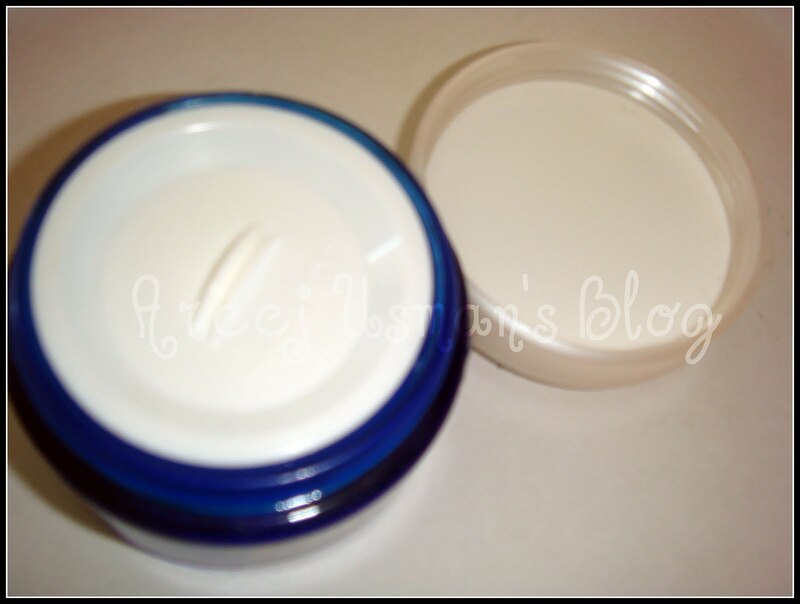 There is some info about the product on the back of the jar like how to use the product and the lasting period after the product is opened. 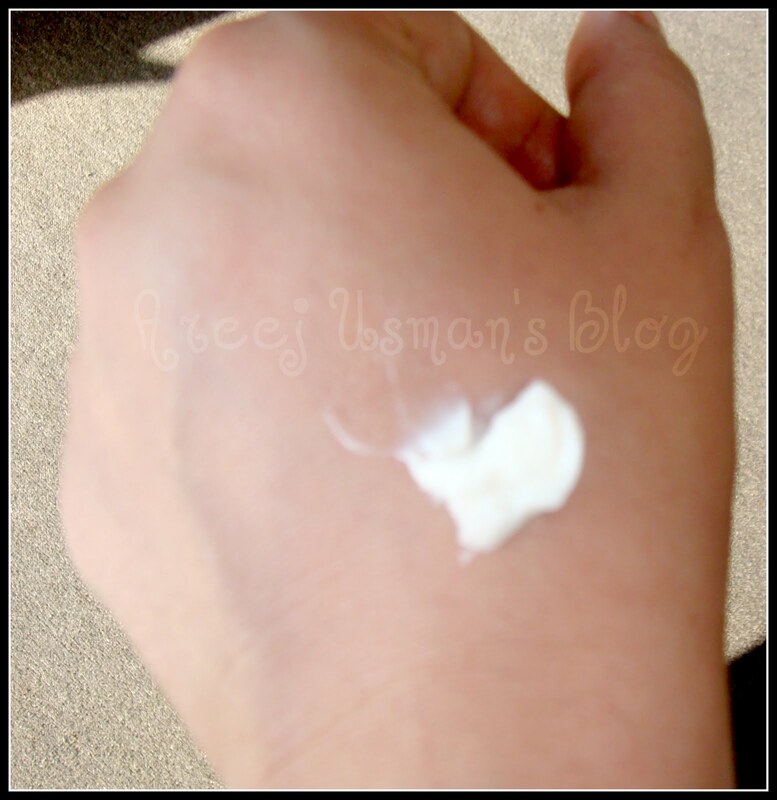 The cream is chalky white & as compared to L’oreal white perfect cream which has a very smooth texture this one is a bit firm and looks like a cream that has been refrigerated for some time.The feeling of the cream is soft as you rub it onto your skin. 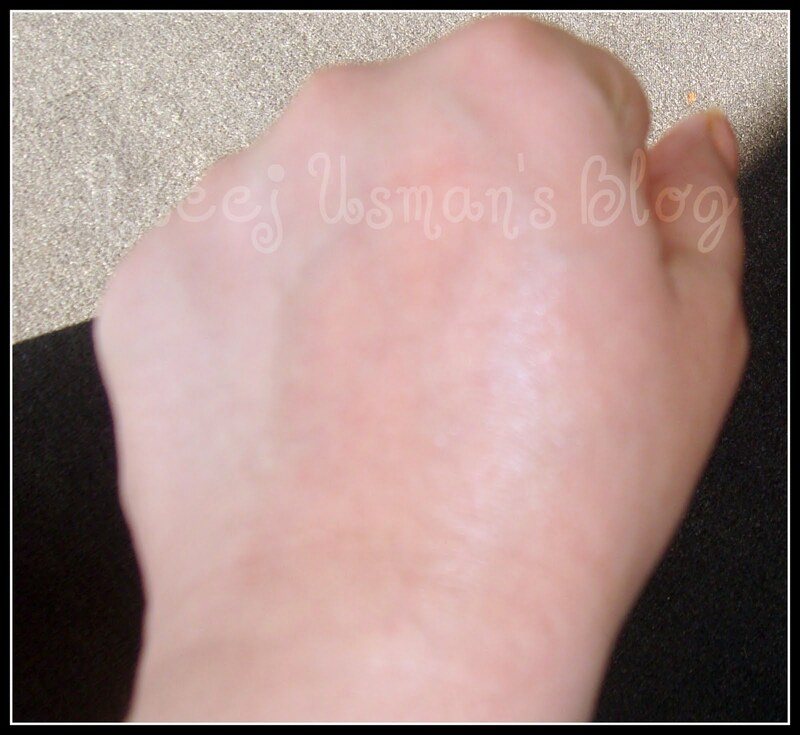 Here is a small amount I have on my hand.It looks a bit greasy after I rub it but its actually not greasy and absorbs completely. This is the first time ever I have used an anti-aging product.Before using this product I was a bit concerned about using an anti-aging product at my age i.e a bit early to use anti-aging products.But then I looked for some content on the internet & in the end I came to the result that if we want a firmer & younger looking skin at a mature age we should be using some anti-aging product before reaching that age.So I said yes to L’oreal Revitalifi Night Cream & for 2 weeks now its part of my skin care regime before I go to bed.I have found the results to be great.I wake up to fresh looking supple skin every morning & my skin is softer all day long.I have even received a few compliments that my skin is looking great these days.I felt the glow appear on my skin with L’oreal White Perfect & same is the case with this Revitalift Night Cream. As to the diminishing of wrinkles and lines I really cant say much about that because I am not in that phase yet where I can notice the disappearance of wrinkles and lines from my face. 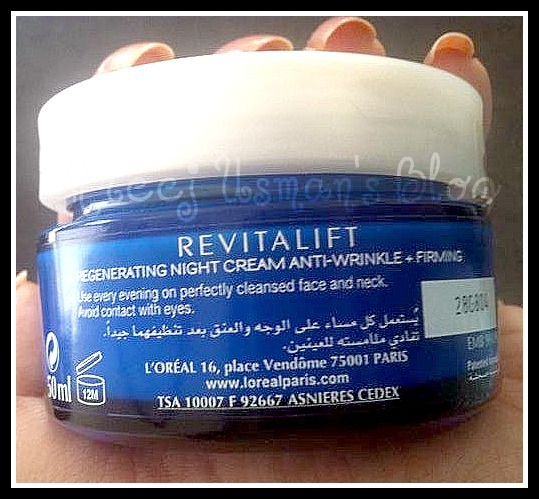 I recommend this product to every woman who feels that her skin has changed over the past few months or is in need of firmness and moisturization.L’oreal Revitalift Night Cream is available for Rs.1100 across Pakistan which I think is a very good investment for both your skin and the years to come. You can find more about L’oreal at www.lorealparis.com & L’oreal Pakistan. Any questions and comments are appreciated. im a little scared to use anti-aging creams.. 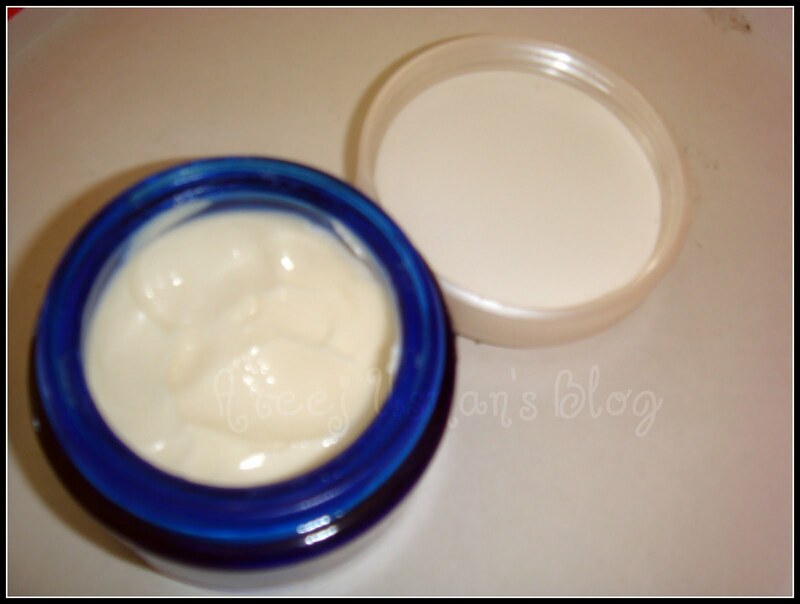 I have been using L'Oreal night cream and i'm totally content with this product. The result is quite impressive. My skin grows fresh, smooth and out of acnes. Try and enjoy! At what age we can use these creams..I am 25 now and I want to use face firming cream as my skin has become queit loose..can I use these creams? I was wondering if you have ever used it, because I'm not sure if it is reliable. They DO, however, have an amazing selection of L'Oreal products ( http://just4girls.pk/loreal-paris ) that I am really eager to try, but I need advice on whether the products are genuine or not.